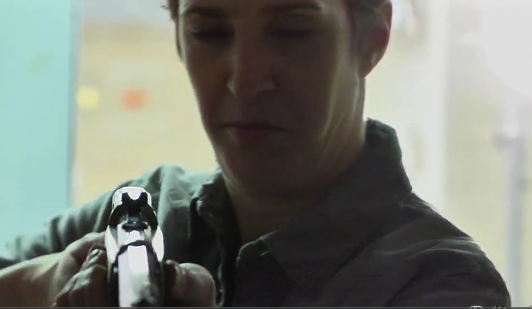 Rolling Stone is saying that she is “totally into guns” or something. This whole thing is wrong on so many levels… Hey Rachel, take a wild guess whats gonna be the first thing to go once your far left brethren stop pretending they are not socialists. 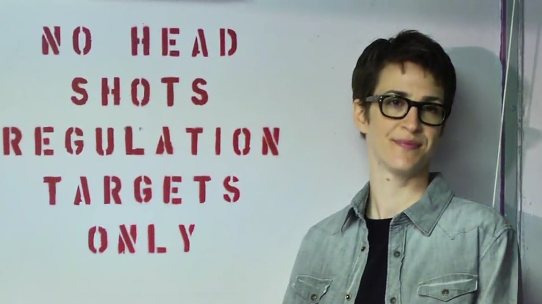 *Blogged under “General”… I refuse to add a Tag or Category for Rachel Maddow on this blog. UPDATE – OK, stop sending me emails… For the record, I have no problem with Maddow or anyone else on the left being a shooter. Guns cross all political lines, and I want everyone to own and love shooting guns… So, welcome to the gun community. 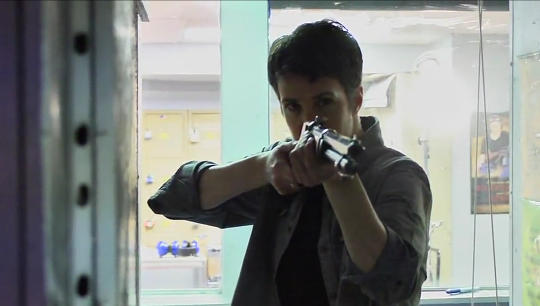 I do have a problem with Rachel Maddow’s extreme contempt for freedom and limited government. She also despises the NRA and is a big advocate for gun control. I have a problem with that. She also has a rather large platform which she could be using to talk about gun rights and how guns keep us free. Instead, she uses it to promote gun control and to spread lies about F&F. Thats what sits badly with me when I see something like this. If you are really indeed passionate about guns then at the very least dont actively advocate for gun control. Guess what, Rachel, when guns are banned, your right to keep and bear arms will be banned too. And that Evil Cowboy Assault Rifle that you love shooting so much will be gone, baby gone. Then you will be happy to hear that I had to google (I know, I should switch to bing) her name to find out who she is. Relax, she’s on MSNBC, almost nobody else knows who she is either. Do an image search for her to see what she looked like before they cleaned her up for TV… Wow. Worst “chicks guns” pics ever! This is amazing. I’m kind of at a loss for words. Also, GunMart Blog always has the best posts. This is why people shouldn’t be allowed to own guns.. because you get angry at the stupidest things, you don’t like it when people have a differing viewpoints and it seems some of you don’t like women.. unless they fit a certain image… or liberals. What is the actual problem with having gun control? Really? Rachel has her platform, you say. However, the NRA and conservative media have a much larger platform.. so why complain about Maddow having her opinion on the matter. Laughable on so many levels.